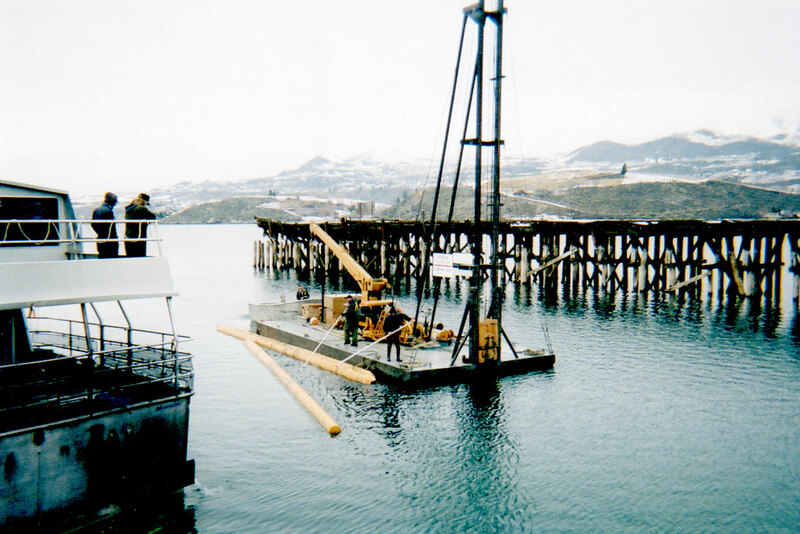 Replacing the wood pilings for the Lady of the Lake passenger ferry on Lake Chelan in Eastern Washington. 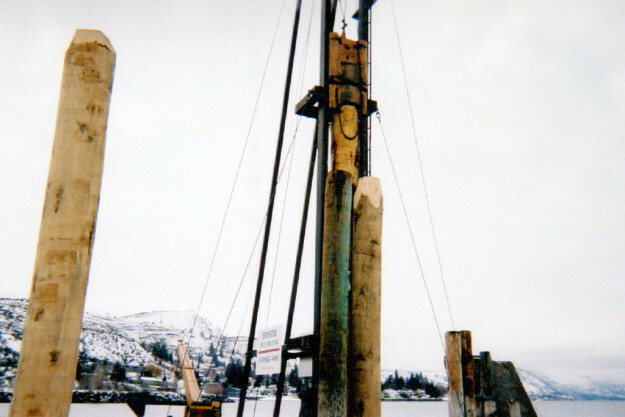 Used our portable pile driving equipment to set new pilings. 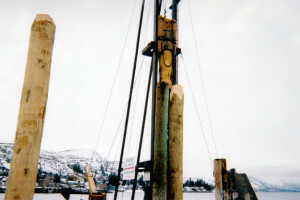 This entry was posted in Commercial Pile Driving and tagged mobile pile driving on October 7, 2011 by bayside.